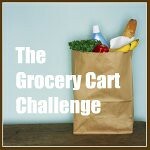 The Grocery Cart Challenge: GCC Shopping Round Up - Upcoming Workshop! GCC Shopping Round Up - Upcoming Workshop! Gayle Bryant, Common Cents columnist for the Daily News and author of the website The Grocery Cart Challenge will be teaching you tips and tricks to cut your household budget. In this fun class you'll learn how to make all your household cleaners for pennies, make a weekly menu plan, and shop on a budget without using coupons. You'll get to sample some frugal foods and go home with recipes and resources to lower your budget. Bring three empty refillable spray bottles, fee includes all other supplies. Cost is $20 plus a $10 supply fee. Saturday, June 26th from 10-noon. I slogged through rain and hail to get my groceries today and came home drenched. It's worth it though for the good produce deals I found...2 bunches of organic bananas for a dollar and 2 bags of on the vine tomatoes for $.69 each as well as some other great deals. How did your shopping go this week? Please remember to link directly to your post, not your homepage. Please remember to link back to the Grocery Cart Challenge. You do a great job each week and you don't even use coupons! I love my coupons but admire you for making it work without them! Thanks Megan. I think if I didn't have the great outlet stores around here I'd probably be more of a couponer. I did use a Catalina at Safeway once and spent about $11 and got $60 worth of sausages and lunchmeat. It was a total adrenaline rush. As usual- your shopping skills impress me. 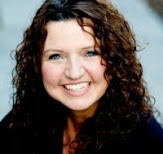 That workshop sounds helpful and fun- I bet you will have a waiting list! Your workshop is going to be such a hit, I just know it Gayle. And I agree with Megan, it's amazing what you do without using coupons. I wish we had some outlet stores around here like those. Good luck and have fun with your class. I bet you will have many requests to do another one. Oh yeah, another thing, the printable Kitchen Ingredient Substitution Chart that I posted on my blog can be distributed if you would like to provide it at your class. It's not mine, it's Tipnut.com's and she states on her site that as long as the copyright at the bottom remains, you can place on blogs, websites, and distribute freely. It tells how to make allspice, apple & pumpkin pie spice as well as 100 other substitutions for cooking. Just an idea for you. Great job! How exciting on your workshop. If I lived a tad bit closer I would sign up but I bet it will fill up FAST!! Awesome deal on the produce! Bananas keep NOT going on sale around here and it pains me to pay 80 cents a pound for them! Thanks for all the positive motivation. You've really helped me slash our grocery bill! I'm not much of a couponer either. I do it occasionally, but only if they're for products I really use. I think it's too easy to use a coupon just for the savings, but it's not something you'd really use. I've also discovered that sometimes coupons at my local grocery is STILL more expensive than regular price at Target. So I don't focus too much on them. But then again, I've got another monkey on the way...who knows what might happen a year from now when I have another mouth to feed. Ha! Gayle, so disappointed I don't live closer. I'd totally come to your workshop. :-( So I'll just pout. LOL! Good luck with it! I was wondering when you'd buy the laundry supplies again. I'm making my detergent again soon. Thanks again for sharing. Gayle thank you for all the tips . Today I made my second batch of detergent and later I will make my second batch of Windex. I have gotten so many tips from your Blogg and some from your folowers. Your class sounds like it will be very helpful and informative. It encompasses everything you do...the attendees will be blessed! I love that they'll go home with something tangible...always such a nice touch. Question: So, last week you bought 5 loaves of bread and this week you bought 5 loaves of bread, there were only a couple of really bread intensive menu items on for both weeks; does your family really go through that much bread for snacks? I'm sure that you freeze it :), but you seem to buy bread weekly....so, I'm curious. We do go through a lot of bread. There ARE six of us in the house and we eat lots of sandwiches at lunch as well as a few meals that require bread. My husband and oldest son easily eat two sandwiches at a time and then if the rest of us eat one that's a whole loaf right there. So yeah, we usually go through 4-5 loaves per week. You are an inspiration. I had to comment on the soap you got at the dollar tree. I am using that same kind to make your homemade detergent and it works great!!! I found mine for 3/.59 at a fleamarket. I use a whole bar and make the recipe as usual. That stuff is awesome!! My husband is a landscaper and it is even getting grass stains out of his clothes that I had long given up on. It is just amazing. Thanks for sharing all you do.